The new scheduling experience in Customer Service Hub is now live. It is powered by Universal Resource Scheduling and provides an efficient way to schedule resources for service activity. It considers the availability of employees, facilities, and, equipment to plan schedules accordingly. It also helps customer service organizations improve service quality by preventing over-scheduling. Go to https://experience.dynamics.com/ and join the Insiders Program. Sign-up to enable service scheduling on your org. The org must be new or reset, Dynamics 365 for Customer Engagement 9.0.2.1080 or later. The org should have Customer Service Hub, version 9.0.5.56 or later. The org should have Universal Resource Scheduling package, either version higher than 3.2.0.405 or the org should have no Universal Resource Scheduling package installed. Note: Once the new service scheduling is installed, your access to legacy service scheduling will be cut-off in the current organization. We recommend you to first opt-in your sandbox instance and test all your use cases, and then go for production instance. Note: The new service scheduling only works as a Unified Client application. To access the new functionality, go to Customer Service Hub, expand the sitemap and then navigate to Scheduling. The new service scheduling functionality brings in the URS entities – such as Resources, Resource Categories, Fulfillment Preferences, Organizational Units etc. – and retains legacy service scheduling entities such as Service, Service Activity and Facilities/Equipment. Set up resources of type Facilities or Equipment so that they can be consumed within scheduling. Once you set up a resources record, you can define its capacity and workhours, which helps in scheduling a service. Set up resource categories to include resources under various groups into categories. This approach allows admins to define service criteria flexibly without having to hardcode a resource in the criteria. Set up services to define the resource criteria that needs to be applied for scheduling a service activity. 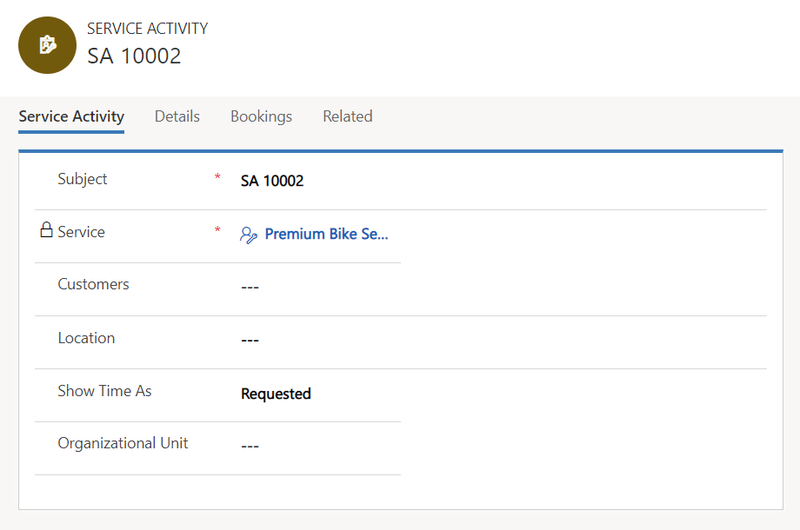 Create a service activity by choosing a predefined service. As you select ‘Book’, schedule board is launched to show the list of resource options that are applicable for the given requirement. The schedule board lets you use ‘Schedule Assistant Filter’ to narrow-down results to suit a specific customer need – based on time slot, organization unit, required resource etc. Learn more about this feature from the Oct ’18 Release Notes for Service and the Feature documentation – Service Scheduling guide. 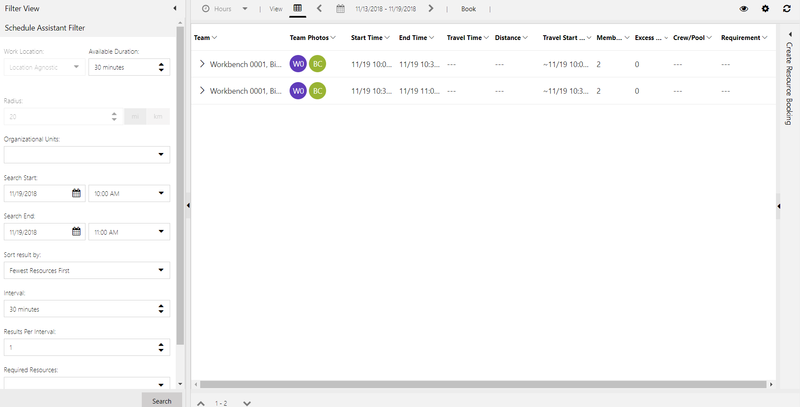 Learn more about migration from the legacy service scheduling to the new one: Migrate to the new scheduling experience. We are eager to see how the new scheduling experience helps you transform your scheduling experience, and look forward to your adoption and feedback!